During NVIDIA’s quarterly earnings call last week, CEO Jen-Hsun Huang announced that they would be focusing specifically on Android powered devices with the second generation of their Tegra chipset. 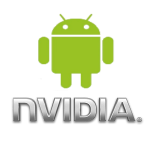 The Tegra platform is a S.O.C. or ‘system-on-a-chip’, which means that it integrates the CPU, GPU, northbridge, southbridge and memory controller onto a single chip. At the moment most Android handsets are using S.O.C’s developed by Qualcomm – you may have been hearing a lot about the Snapdragon recently, which is one of Qualcomm’s more popular chipsets. And iPhones are out there, the iPhone 4G is coming, the iPad is obviously a revolutionary product. The bar is pretty high for all of the mobile players, and so they need a processor that can keep up with the A4. If not, be much better than what the A4 can do because they have to take on the leader in the space. And so I think the second-generation Tegra has been doing incredibly well because Android is doing incredibly well. So we're going to come to market with the second-generation Tegra with the third-generation Android. And so that's our focus now… and I think it comes together at the end of the year, and we've talked about smartphones, we've talked about tablets. We have a very large number of designs in pipe and flight, and so we're looking forward to starting in third quarter and fourth quarter, many design wins to show up in production. Competition is always healthy, and I’m confident that the release of the next gen iPhone in June will quickly be over shadowed by the level of innovation that Android allows. Between announcements like this one from NVIDIA, and Intel’s recent announcement that their Moorestown platform will also support Android (albiet on the X86 architecture rather than ARM, which is what the Tegra and Snapdragon CPU’s are built on), I think we can count on some pretty speedy hardware dropping by years end.